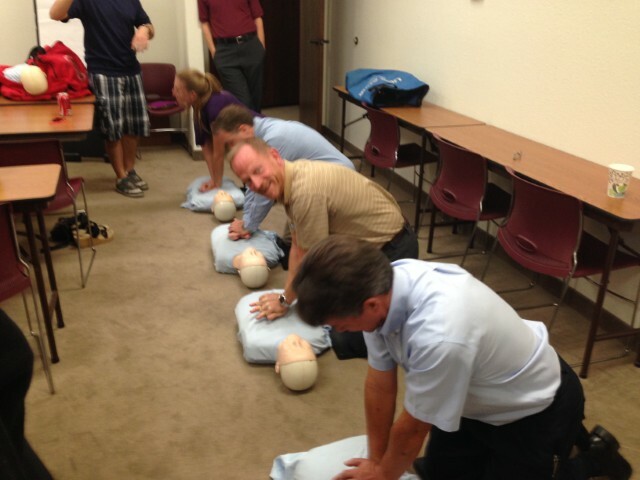 Terracon’s Phoenix office completed their annual CPR training. Participants were taught the proper procedures when someone is experiencing cardiac arrest. According to the American Heart Association, most people who experience cardiac arrest at home, work, or in a public location die because they don’t receive immediate CPR from someone on the scene. For more information about CPR training and frequently asked questions related to CPR and cardiac arrest, please visit the American Heart Association website.